There are different reasons why back pain is experienced and unless the discomfort has been caused by a specific accident, such as a fall, or a sudden movement – it’s not always obvious where the pain could be coming from. It can have the tendency to linger, for long periods of time or radiate at different intervals and at varying levels of intensity. Given the nature of its unpleasantness, experiencing back pain is generally prolonged by the mental anguish that it brings along with it. Understanding how our body works, brings us a step closer to not only minimizing this pain but by taking adequate steps we can eliminate it in the future. The hips are the largest joints in our bodies, which enable us to move in any direction. 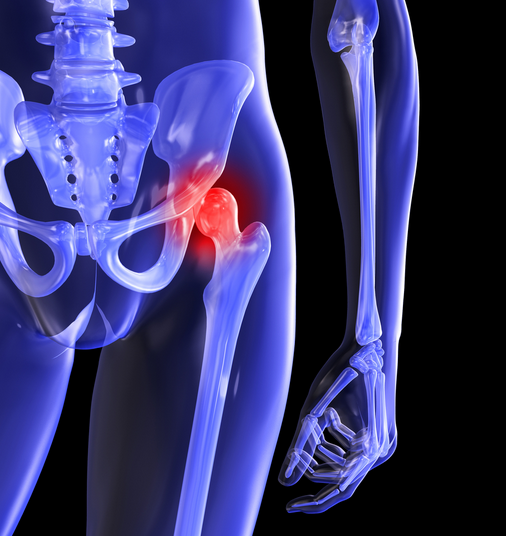 Not only that, but because of its weight bearing qualities, the hip consist from a ball and socket, as well as a supporting system of ligaments. Depending on the type of activity, different ligaments can be exposed, pulled or tugged in a way that causes pain to radiate to the back. The most common reason is through strain, caused by overstretching when sudden movement takes places from stillness to activity. Because of the rotation in the joint, the pain can radiate to the lower back region causing most to think that the spine is at fault for causing them discomfort.